Massage Therapy is a form of bodywork that is designed to help relax body and mind through a series of tissue manipulations. 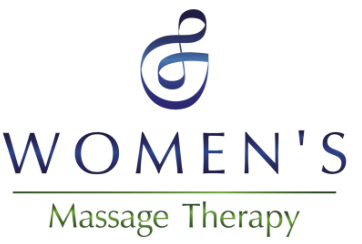 Your massage therapist will use a series of strokes, sometimes combined with gentle movements and stretches to help ease pain and relieve tension. You will likely experience a number of different styles and modalities such as myofascial, trigger point therapy, scar tissue therapy, reflexology, and swedish massage techniques. At Women's Massage Therapy, each massage is a different experience. Your therapist will tailor your massage to fit your needs that day. If your needs change between visits, this means that the massage will be adapted to the changes happening in your body. The type of massage that you receive depends a lot on communication. L﻿et your therapist know if you need more or less pressure, or if you want to focus on specific trouble spots or just do a general full body massage. Maybe you have chronic pain issues that you want to work out, or maybe you need a session of deep relaxation. The best way to have your needs met is to communicate them to your therapist. The benefits of this type of body work are wide-ranging and include relief from aches and pains, decreased stress levels in the body, enhanced mental clarity, improved appearance from healthier skin, and greater flexibility. Read our blog series to learn more about the benefits of regular massage therapy for your body and mind. If you have any kind of medical condition that may prevent you from receiving certain kinds of work, it is best to let us know when you book your session. That way, we can let you know if a doctor's release is necessary. It also gives your therapist a chance to research your condition so that she can be better prepared to work with you if she hasn't worked with anyone with a similar condition before. There are very few conditions where all massage is contraindicated (shouldn't be performed), and no condition where Reiki, or energy therapy cannot be done. “I received a massage from Amanda and found it very relaxing and therapeutic. After the massage we talked a bit and I learned that Amanda does much more than a basic Swedish massage. She did structural and myofascial things. There can be many reasons why someone may have trouble conceiving, and trouble with fertility occurs at a surprisingly high rate (about 12% of the US population). While no treatment of any kind is guaranteed to result in a pregnancy, many people find fertility massage to be a helpful addition to their fertility plan. The techniques the we use at Women's Massage Therapy combine Eastern and Western styles of bodywork to help foster more positive outcomes. We use warming techniques designed to bring increased blood flow to the reproductive organs, reflexology and acupressure to stimulate their function, and relaxation techniques to help decrease stress and encourage a positive shift in hormone production. When it comes to fertility massage, timing can be everything. It is best to commit to regular sessions, as we need to work with your cycle to achieve the greatest results. While you can receive massage at any point in your cycle, most fertility work can only be done before ovulation. If you have any questions about scheduling or timing, please contact us to discuss your needs. Prenatal Massage is a style of bodywork designed specifically for pregnant women. Pregnancy is a time when a woman's body endures tremendous stress due to dramatic physical and emotional changes. Using various techniques specifically developed for the expecting mother, Prenatal Massage helps to release the pain and discomfort experienced throughout pregnancy. The benefits are often profound, including emotional support, the relief of joint pain due to extra weight and postural imbalance, and improved breathing and relaxation. Read this blog post to learn more about the benefits of regular prenatal massage therapy. "Amanda gave me a great massage. I was introduced to her through an event at Hip Circle Studio in Evanston. At the event, Amanda taught us all how to self massage with a tennis ball and release tight muscles. I scheduled a massage with her because I could tell that she really knew the human body and muscular structure. I was surprised by the type of massage she employed to release my tension. She did not do traditional Swedish massage. Most of it was a specific massage technique to relieve tightness at specific trouble spots, I think it was called myofascial massage. Evidently, tight upper shoulders sometimes indicate tight pectoral muscles. Once released, I felt amazing. During the process, it is not as "relaxing" as you would do just for a regular spa type massage. It was more therapeutic in nature." Are you interested in receiving massage while in labor? At Women's Massage Therapy, you can come in during early labor for a massage to help you relax. If you have been in early labor for a while and want to get things moving, we can do some natural labor augmentation techniques. These same techniques are used in an induction massage. Induction massage is only available for women whose pregnancies are considered full term. During your massage, we will access several acupressure points, and you will learn where they are so that you can continue on your own if you wish. It is always best to book appointments with at least 24 hours advance notice. If you are in labor and would like a day-of appointment, call to find out availability. There is no guarantee that you will be able to come in that day. Want to guarantee a massage during labor? We can discuss an arrangement for me to bring my table to you. As with doula services, this includes 24-7 on-call time which does require a retainer fee. Prices on this kind of labor massage vary and can be discussed at a free consultation. Contact me to find out more about this service. ​"I went in for a neck and shoulder massage and I felt fantastic afterwards. I have very sensitive skin and Amanda worked with me to find the right pressure that would work for me. I sit at a computer and commute every day and relief from the massage was felt for days after." Many women ask me if I only work with people who are depressed. The term postpartum merely means the period of time following the birth. Postpartum Depression is a form of clinical depression that occurs during the postpartum period. Although it can be used to help with symptoms of depression, postpartum or postnatal massage is great for many other things. Postpartum/postnatal massage is just as important as prenatal massage. Your body has just been through a major ordeal and it will take a while for you to recover. In most cases, postpartum/postnatal massage can help reduce pain related to both natural and Cesarean births. It may also decrease symptoms of postpartum depression and provide you with a way to better cope with any negative feelings. Massage can also help to facilitate the healing processes related to surgical scars as well as retrain your muscles for correct posture and alignment. New mothers are often so focused on taking care of their new babies, that it can be hard for them to take time out to take care of themselves. While this is understandable, it is just as important for you to heal and recover, or if nothing else, just to focus on yourself for an hour. I came for a postnatal massage about 10 weeks postpartum and was very impressed with Amanda's professionalism and knowledge. You won't get that "hurts so good" feeling that I am used to at other places, but I still left feeling as though she had fixed many knots and trouble areas with her gentler techniques including several stretches for the trouble zones I named and she also spent a lot of time on the related muscles - for example she did some chest opening to help with my tight upper back. I would absolutely book with Amanda again for my future massage needs! An outcall session is one where I bring my table to you. Instead of coming in to my office for a massage, I come to your home. There are benefits and drawbacks to this kind of work. The main benefit to an outcall massage is being able to stay home. You don't have to fight traffic, or worry about being late, or have trouble trying to find me. However, you also miss out on some of the in-office benefits such as a heated table, hot towels, foot treatments, etc. that are only available in office. If you have any kind of health concern, you will need to inform me before hand so that I can better prepare for the kind of treatment you will receive. I will need to know if I should bring different tools or equipment better suited to your treatment, or if it is necessary to have a release signed by your doctor before we begin treatments. I've had may massages in my life, some good, some not so good, and this one I'd give a 6 our of 5 if I could. I went in for a Swedish massage looking for some relaxation after two months of nonstop work related stress. I expected the standard Swedish experience -- but where most massage therapists just knead your muscles like they are generic balls of dough, Amanda worked on each of my problem areas in a holistic way. Rather than dig into my shoulder blades for 30 minutes (which I admit, can feel really good), she stretched out my pecs and other surrounding muscles to get at the underlying problem and increase my overall flexibility. I left feeling an inch taller and absolutely relaxed. Amanda is not only a great LMT, she is also a natural teacher, and I left the session with a lot more knowledge about what I can do to massage, stretch and relax my muscles on my own.